The #Sackville Pizza Shuffle Continues. A Pizza Girls Comeback! | Sack-Vegas!!!! The #Sackville Pizza Shuffle Continues. A Pizza Girls Comeback! There is a lengthy Sackvegas pizza shuffle history which I plan on documenting someday, just not today. 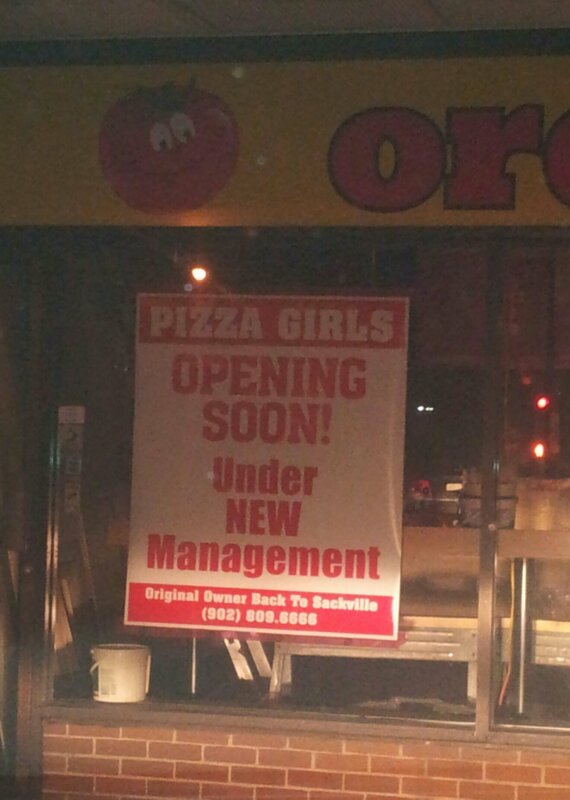 Long story short, the original owners of Pizza Girls are setting up shop next to Kaisers. Posted by Sacky on November 18, 2013 in Snack-Vegas (Thought for food), Welcome To Sackville! and tagged Pizza Girls, Sackville. I’m so confused! Which location will carry the current Pizza Girls’ recipes? I know! Mom’s apparently is name change only.